We have all been there. You go to the coop and find a dead chicken! Whats the 1st thing you think? Its likely you are asking yourself “what happened?” While there are really natural accidents that can kill chickens, cannibalism (pecking order) or maybe an actual accident where the birds wing or legs were caught in wire could have resulted in a strangulation, most deaths care caused by simple mistakes or routine negligence ( did you ever for get to close the coop door? hint: put a timer on your cell phone!) 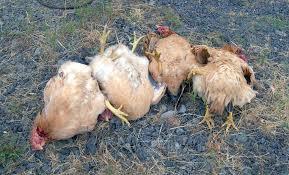 The majority of poultry deaths are really caused by your WORST PREDATOR ….. and its invisible too. 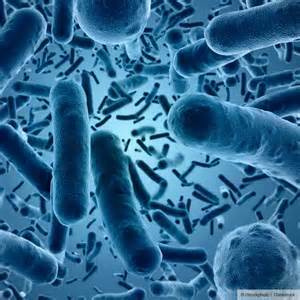 Bacteria! period. Bad pathogens build up in the soil and are “activated” during weather changes, sudden damp soil, and temperature changes…Its no “mystery” So, slowly, (or maybe faster than you like) your chickens start dying one by one, sometimes several in a few days. When you find a dead chicken (s) you may go through the common emotional states: disbelief, anger, fear, rage, denial and acceptance. You PROMISE it will never happen again. Or will it? If you think your chickens died from unknown causes, its most likely that BACTERIA is the problem. Most people because that can’t see bacteria do not realize how deadly it can be on your flock. So most folks chalk the death up to “its one of those things” or “she fell off of the roost” because you really don’t want to know WHY she died, its tough to blame the soil and air in the coop because after all you are doing all you can right? Bad bacteria in poultry is spread though droppings, water and even the air!